Anderton-Coleman House: This was the original Robert Coleman home; it was part of his plantation before the Town of Tappahannock was laid out. The center part is the original with its early American architecture. It still retains the original weatherboarding, windows, and chimneys. The interior shows handsome but simple doors, mantels, and trimming. 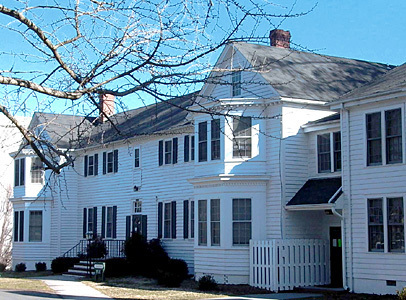 Many prominent Essex County families have owned and lived in it. The Anderton Family in the 1890s added the southern section and St. Margaret's School added the northern section in the 1970’s. Since 1947 it has been owned by St. Margaret's School and is now used as a senior class dormitory.